Sheriff's deputies debuted their new Long Range Acoustic Device (LRAD for short) on Tuesday. A new device that the San Diego Sheriff's Department said will be used to help find missing or lost people has already drawn criticism over its potential usage. Deputies debuted the Long Range Acoustic Device (LRAD for short) on Tuesday. Although it can reach up to 140 decibels, the sound produced by the device is clear, not distorted like other voice amplification devices, making it easier to send warnings in times of emergency. "Real-time application, day-to-day, we've assigned it to our search-and-rescue unit with a hope that they would be able to direct messages into some of the East County canyons and mountain land when they're out searching for lost or missing people," said sheriff's Lt. Ed Musgrove. "The LRAD is a highly directional acoustic array that's designed for long-range communication," according to the manufacturers' web site, which also said it could also be used to furnish an "unmistakable warning." The devices have drawn criticism after they were used for crowd control, according to various media reports. San Diego County sheriff deputies stationed the LRAD at a recent health care town hall forum hosted by Rep. Susan Davis (D-San Diego) in Spring Valley, according to East County Magazine. "As we've seen with Tasers and pepper spray, these types of weapons are being used to subdue people even though they pose the risk of serious physical harm," Kevin Keenan, executive director of the American Civil Liberties Union, told the magazine. This same system was also used by the Japanese Maritime Self-Defense Force in a pirate attack off of the Somali coast, according to media accounts. These warning devices are being deployed by the U.S. military, too, as well as some cruise lines and freight companies. 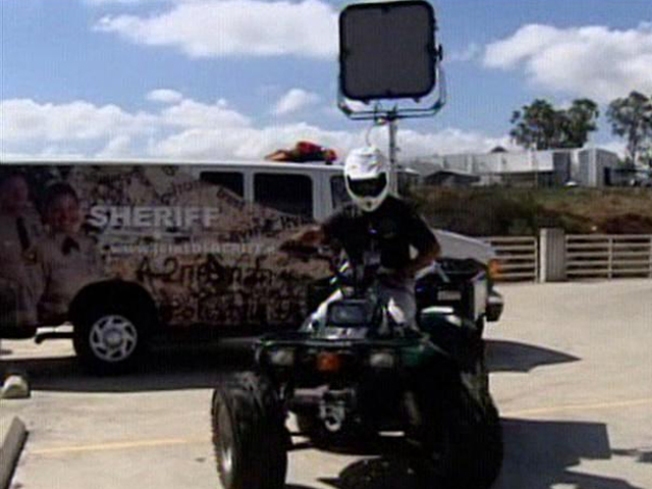 The sheriff department's LRAD was bought through a Homeland Security grant program in 2007.